This bubble machine is my 2-year old’s absolute favorite outdoor toy. And I’m not surprised because it’s one of those toys I would have done anything for as a child! Why didn’t they come up with this back then?? This is a great way to get your little guy out and moving….AND you don’t need to blow the bubbles anymore! Everyone should have one of these in their outdoor toy arsenal. This toy was one of Christmas’ big hits and my son still loves it. At first, he just loved putting the cookies in the jar, dumping the cookies out, and then starting all over again. But now, he will actually lay the cookies out and pick out the right numbers, which is really exciting and fun to watch! It’s one of those weird toys that I’m so glad we came across because it’s been one of this favorites! 2-year olds are right around the age for the big move – a toddler bed! This star gazing night light was critical during our transition period because it made it fun for him to be in his room! It’s one of the few “toys” out there that actually have a practical purpose. 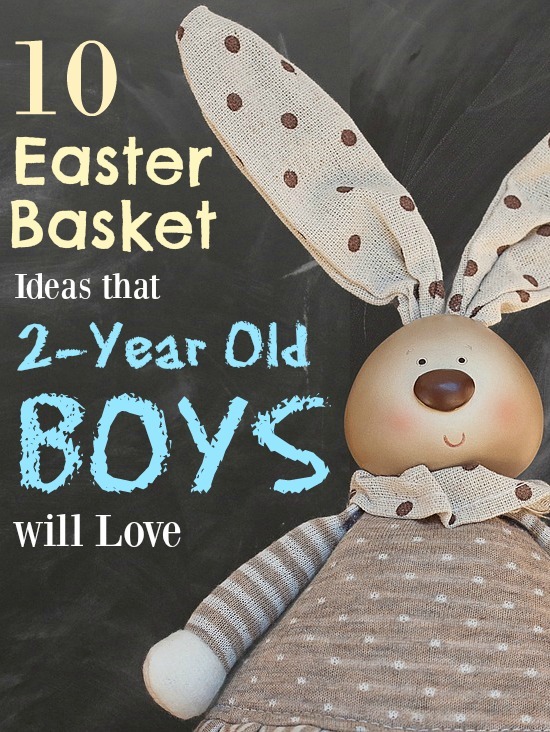 You will BOTH love this Easter gift! My son has been getting sticker books (or coloring books with stickers) for a while now, but he finally just became obsessed with them! He will cover himself in stickers and then move onto me and my husband. There are so many options for stickers, so these can be an easy and inexpensive addition to an Easter basket. For us, bath time is a full-fledged activity. We’ve got tons of great toys and of course my favorite ones are those that end up being educational. Right now, my son is in love with the alphabet so his stick-on letters are the highlight of his baths! He can pick out whichever letter you ask for and if you’ve got a chatty 2-year old, I’m sure they’d be able to tell you the letters themselves. This is another inexpensive gift that will last for years. Right now, if my son was to be sent to a toddler-safe deserted island and could only bring one set of toys with himself, it would be his Brio trains and train tracks. It is one of those few toys that he could literally play with for hours. These trains are a must-have for all 2-year old boys! 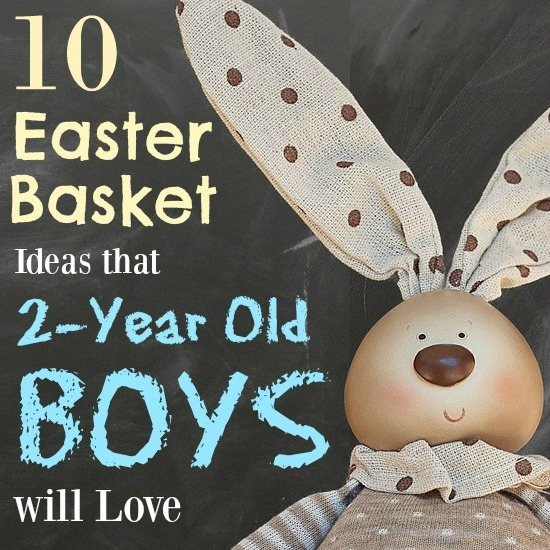 And luckily, they’re the perfect size and price-range for an Easter basket! With all the toys that my son has, I’m constantly on the look for things that will excite him that are either consumable (like sticker books) or practical – like sippy cups! And with my son, I’m constantly struggling to keep him hydrated, so a fun sippy cup can go a long way for us. His current obsession is with Thomas the Train, so I found a great Thomas cup with a huge straw that I know will get a lot of use. This is going to turn up in my son’s Easter basket this year and I can’t wait! He’s at the age where he loves to learn and flashcards are actually exciting for him. This set is Amazon’s #1 seller, so I’m making a bet on it. It’s unbelievable how quickly they learn at this age, so I can’t wait to see what he picks up with this gift. The classics never get old and this one is just starting for 2-year olds! 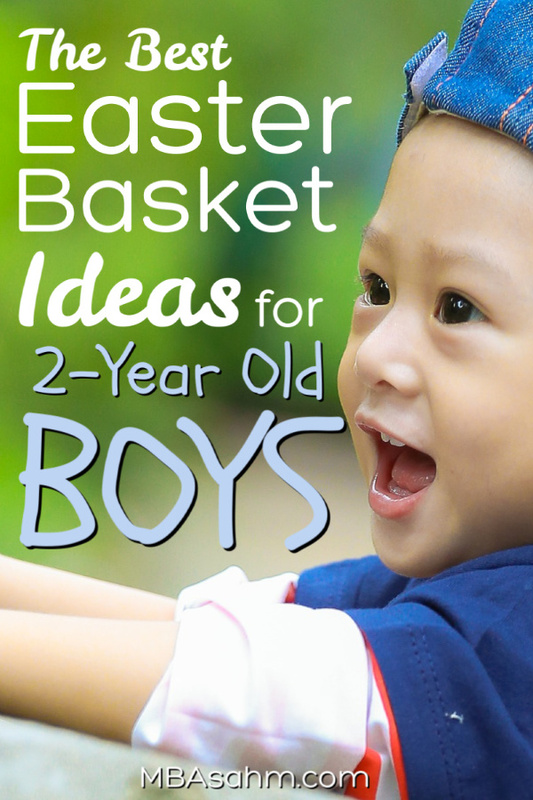 You really can never have too many coloring books and crayons (for me, these kind of fall into the consumable category), so this is a great idea for a 2-year old Easter basket. Right now, my son’s favorite coloring books are Thomas the Train (of course), Curious George, and Mickey Mouse. I also have been printing a different letter from the alphabet each day (I get the free printable from Mr. Printable – right here) and he has been loving it! What occasion isn’t perfect for slipping in books? My son loves to read, so this is always a go-to for us and now he’s finally getting to the age where we can trust him a little more not to rip the pages out…which means we’ve graduated to the world of paper pages! He can’t get enough of learning letters and numbers, so the books on the top of his list focus on that. This toy is a little big for the classic Easter basket, but it is fairly inexpensive (and collapsible) and my son LOVES it. Not a single day goes by that he isn’t playing with it and he’s constantly coming up with new and imaginative ways to use it. It’s a great part of a 2-year old’s arsenal of toys, so if you don’t have any other gift occasions coming up, then this may be the perfect addition! As luck would have it, I have managed to avoid getting my son hooked on chocolate, so his Easter basket is not going to have the otherwise best parts of Easter baskets (Cadbury eggs and such). Instead, the “sweet treats” will be little bags of pretzels, goldfish, and Gerber squeezables. I buy these for him anyway, but he always seems more excited when they show up at special times! I hope this helped with your shopping. Good luck and have a Happy Easter! !